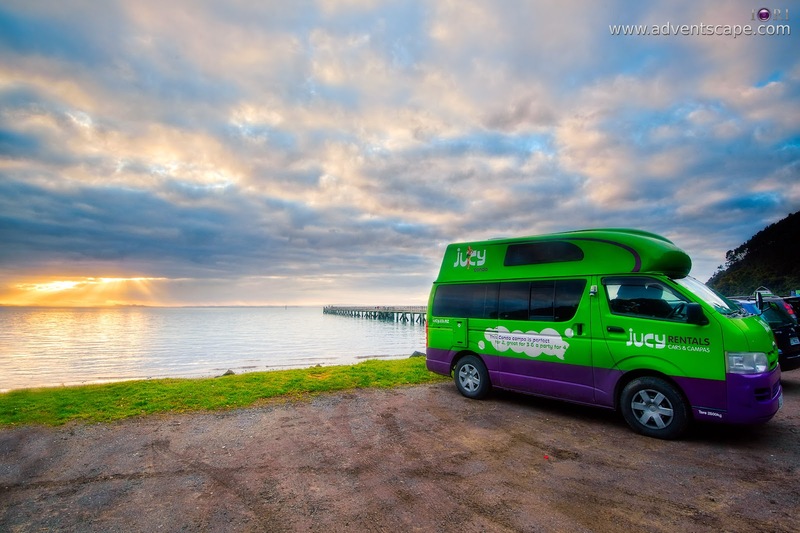 This is a review of Jucy's Campervan Condo. Travelling can be quite expensive. Renting a car and booking for an accommodation can easily cost so much depending on the number of days you stayed. My friend had an idea to try a campervan and just have a powered campsite for accommodation. A campervan is a van modified to be an accommodation. Its a 12 seater van (commonly a Toyota) and is modified to have a kitchen, sink, portable toilet and bed. 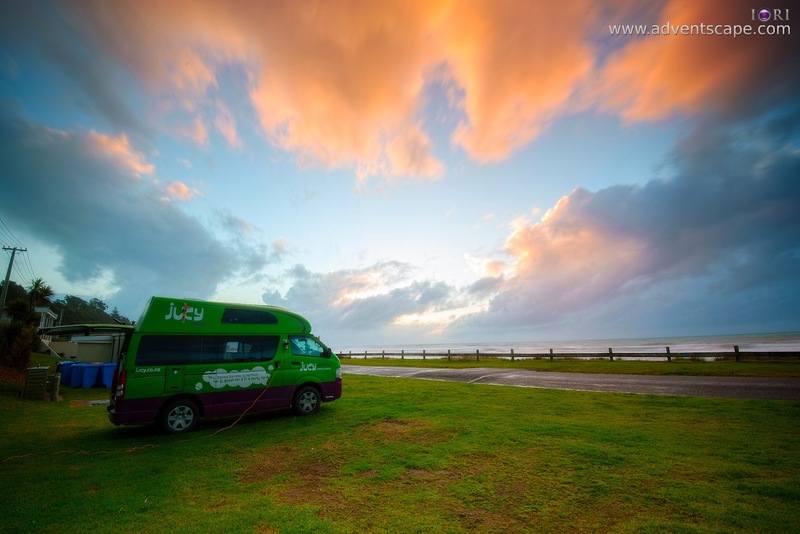 Our campervan can accommodate up to 4 people. There's so much going on isn't it? This is what we did in New Zealand. We hired a campervan for 10 days and only needed to a good or the best!) accommodation. The accommodation we sought are holiday parks. These holiday parks have different modes of accommodations from powered camp sites, standard (rooms) and a stand alone (studio-type) room. Since the campervan already a mini accommodation, we only needed the powered camp sites. Powered camp sites are just a parking space where you can hook up the campervan to a 240V power mains and you'll instantly get 240V power! For 10 days, we rented Jucy’s CONDO campervan. There is also a smaller campervan called Crib, but my friend advices against it. He already rented the Crib years back and commented that it’s too small to be comfortable. So we rented the Condo based on his comments and it looks promising. For 4 people, the Condo seems spacious. But factor in 4 x baggage bags (20kgs / 30kgs) and 4 x hand carry bags (7kgs / 10kgs), then space shrinks rapidly. The space in the Condo is still good enough because if you compare it when hiring a Toyota Camry (and the likes) or Nissan Xtrail (and the likes), then you don’t have space at all. If you factor in the Condo’s second deck sleeping quarters, then you have more space above. For what it’s worth, the Condo gives you value. As we used this quite a lot, it deserves it's own title. The Condo offers a nifty refrigerator. This keeps your liquids cool and fresh. It keeps leftovers fresh as well (just remember to use covered containers so that when the ref’s door swungs open accidentally, your food won’t get spilled). The refrigerator has 4 racks, enough room to put many drinks, jams, food and leftovers in. I believe the ref is powered by the campervan, thus it’s best to open it when the Condo is moving. If you’re at the powered campsite. You can open the refrigerator after hooking up your Condo. We used this ref all the time. Surprisingly, the kitchen has 2 burners! But the LPG tank that powers the burners is a small one. We don’t usually use the burners and we only used it to heat water for coffee. Aside from this, we cook outside the campervan. We cooked at the common kitchen at the powered camp sites. This saves gas on our LPG tank. The kitchen at camp sites are powerful and spacious. It’s easier to just bring all your items, ingredients and utensils in there and cook rather than cook inside the campervan. It’s quick and much more convenient. Fairly extensive list of utensils I should say. They covered the very basic and you can do pretty much all the types of cooking in it. I managed to cook ‘sinigang’ from it. But I believe you can cook more recipes – just need to find time to do it. I’m satisfied of what we have as utensils. By the way, we used paper / plastic cups, plates, spoon and forks. This way we are always on the go and don’t need to bother cleaning the dishes. This is very useful especially if you cook your food in the evening and eat lunch somewhere in an area. We don’t really use this facility as toilets are pretty much scattered all over New Zealand. These toilets have all amenities you want! This keeps the campervan light and clean, since we don’t fill our tanks with water. If we really need to wash for emergency, we have bottled water we bought from the grocery. This keeps things minimal and clean in the Condo. 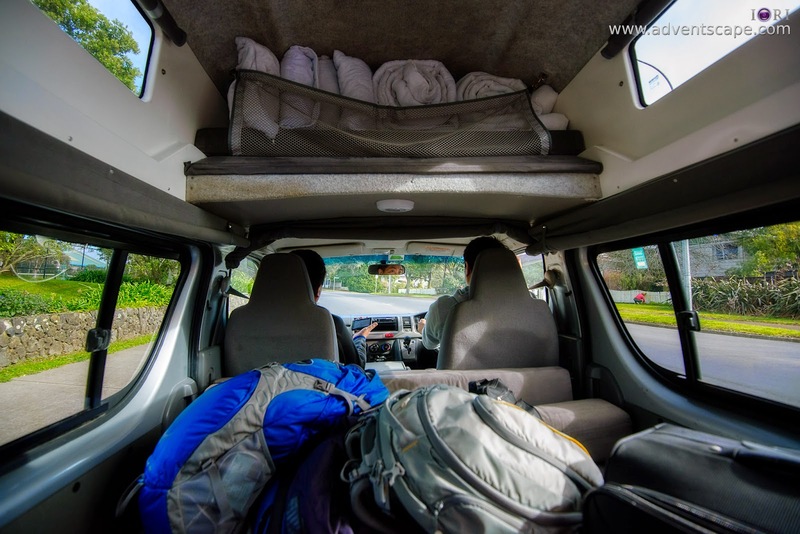 There are many compartments and spaces inside the campervan Condo where you can store things. It’s a good way to organise grocery items and maximise space. From memory, below are the compartments, packets that we have utelised. Below the sink are 2 compartments – actually, it’s just 1 compartment being accessed by 2 doors. This is where you put your cooking utensils, plates and mugs in. But it has space to accommodate other items as well. Beside the sink is a ‘hidden’ compartment closed by a stainless plate. It's hard to recognise as the stainless plate doesn't seem to be moveable. Directly above the sink is a compartment with a rack to put in cooking oil, liquids or condiments. This compartment has good space. Like all cars, there is a compartment in front of the passenger seat besides the driver seat. It has 2 separate compartments to put in small items. The retractable bed is where we places 2 baggage bags. Since it's heavy, it sits comfortably on the bed without the worry it being flung during a tight turn. As we're travelling with 3 big baggages, 3 hand carries and a mixture of loose items, we have a bit of room. One of the seats was used to place items. I believe 4 people inside the Condo is very cramped, but still possible. You just need to manage the spaces even more and be smart in using every compartment the Condo provides. Irregardless of your number, Jucy will lend you all 4 sets of beddings. In our case, one of our friend brought his spring-sleeping bag. This served as his cover and blanket. I just used what Jucy provided and it’s good. During daytime, it’s best to tidy up all beddings and up it on the upper deck. This will still give you room on the upper deck (assuming you folded each beddings nicely) and more spaces in the Condo. Managing these spaces everyday is just a 10 minute job but will give more space to move for the whole day. We did this everyday and it works. There are 2 things I don't like about the upper deck beds. The roof is close to whomever is going to sleep there - feels like a coffin but for someone sleeping on the upper deck, it's squeezed compared to the people sleeping in the lower deck (the retractable sofa). If you flick a switch and it lights, then that function is ‘ON’. If it’s not lighted, then it’s off. This is a master switch. If you switch it OFF, then the equipment will remain off even if you tried so hard to turn it on. I was trying to turn the radio ON but for some reason it doesn’t want to turn on. I’ve already pressed all buttons (and tried all button combinations but it won’t turn on). The 12V DC power from cigarette lighter plug will not function if the ‘Stereo’ switch it off. So turn it on if you’re going to use it. During holidays and long road trips, my inverter is my best friend. This little gadget converts the 12V DC power from cigarette lighter plug into 240V AC. This way, I can use my chargers (camera, laptop, phones) and happily charge away as we go from one location to another. A good combination is an inverter and a power socket. This way you can plug in several different equipment at a time. Before doing anything crazy, learn the power ratings of your equipment before plugging in the inverter. Plugging a computer is fine, plugging a heater is not a good idea. Inverters usually come with their power ratings (in watts). Mine is 200W. The bigger the power rating, the bigger the size – though the more power it can deliver safely. In terms of the Condo, most cigarette lighter plugs have a rated ampacity of 10 amperes. So don’t think that getting the biggest and baddest inverter will always be better. In the end, consider practicality. If you’re travelling, then size and weight is the most important – thus I only have 200W with me. Television - yes, there is TV. It's at the upper back of the Cabin. But we don't use it, even when parked at Holiday parks. Probably we have so many things to do (e.g. cleaning, cooking, shower, transfer of files from camera to backup, too tired to watch etc) that we don't have time to use the TV. You can use it. It comes with remote control. Sun Roof / Exhaust Roof - there is a portion on the roof wherein you can open to get fresh air in. It's like the exhaust roof you see in buses. Just remember to close this when driving as this roof is made of hard plastic - it might blew away. Portable Toilet - there is a portable toilet. We haven't use this as there are plenty of toilets around New Zealand. All are tidy, with tissue paper, available water and soap to wash your hands. Use it if needed. Ice Chains - if you're driving to a road prone to ice / snow, it's best to use these chains. This ensures that your times grip the ground. Failing to do so will have you and your campervan spinning, or worst, slide straight to the kerb. Fire Extinguisher - yes, there is a small fire extinguisher conveniently located beside the burner. It's good to have some sort of fire suppressant in the condo. Seat Belts - all seats have seat belts. Thus the diver seat, passenger seat and the 2 back seats inside the Cabin have seat belts. As most roads in New Zealand are 100kph it's best to wear these. Tables - There are 2 tables. One table is located at the back of the Condo attached beside the refrigerator compartment. This is a 'folding' table wherein you can swung the Condo's back door open and unfold the table. This is very useful when stopping at somewhere and have lunch. If the weather isn't good or it's raining. There is another table inside the Condo. You just have to set it up and is placed between the 2 separate seats and the retracted bed. All 4 people and sit and eat here. When we are at Cape Reinga, we used this setup table as the winds outside are too strong that it could blow our food away. Power Cable - this is essential. The power cable is located at the side of the retractable bed, just before you hop inside the Cabin. You use this on powered sites so you can have 240V mains. This is a loooooong cable! Stereo - this is one that I use a lot! Driving 3, 5, 8 hours around New Zealand isn't entertaining. This can pretty much drain your battery or your data. The stereo is useful to alleviate some of the boredom. Just remember the stereo's main switch is at the switchboard. If you haven't turn it on, you won't power up your stereo. Tools and Tyres - there is a spare tyre with essential tools to replace it inside the Condo. This gives you a peace of mind that even if you blew a tyre, you can still keep going due to a spare tyre. But if you blew 2 (which is unlucky of you), then you're stuck. Not really as Jucy have insurances and road assist that can aid you in those situations. Ability to Change your Trip Itinerary - since you have everything, you can go to any place any time, any where. You just need to decide (with your mates) as to where you would like to go. Once decided, you'll just go and search for a place to stay. Sleep Anywhere - I love the convenience of a powered camp site. But there are other camp sites (unpowered) which are very good as well. Take Cape Reinga for example. At the end of Tapotupotu Road is an unpowered camp site. It's clean with toilets provided. It's great to camp here and go back to Cape Reinga during sunrise! Lots of Space - you're a van, so you have big spaces, even for your baggages. Just remember to manage these spaces so things don't go flying when you're driving. Carry Everything - it's good to carry everything you need so you don't lose them or forget them in an accommodation. Everything stays in one place. Again, just remember to organise and clean up so you know where the things are kept. Coffee Anywhere - I believe food is essential (not only coffee). 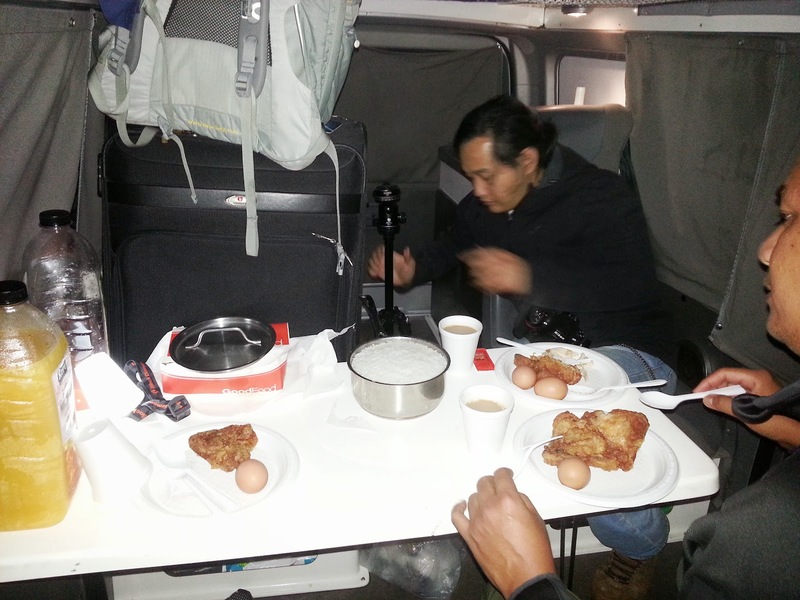 So with a campervan, you can bring your food, store your food or cook your food whenever necessary. This gives you added security that you won't get hungry. Powered by Premium Fuel - depends on the distance of the trip, but this vehicle eats petrol (91 grade) and not diesel. We're about $600 fuel for the trip. But remember, everyday is 5-8 hours trip. Wind Effect - probably the most noticeable effect. Since this is a modified van, wind can affect your vehicle travelling at 100kph. You're not going to be blown away but you'll just feel (as a driver) that strong wind hits your campervan. Just to stress, this is not a breeze or soft wind, this is a strong wind coming from heavy rain or erratic monsoon. So the breeze, soft wind, calm wind won't affect you travelling at 100kph. I did felt the wind when I was driving, but it's not an issue of you're driving slowly. Again, it's strong wind, not like your normal wind in your area or in your city. There are many holiday parks in New Zealand. These are just the holiday parks that we've stayed for a night or two. The service is excellent that we don't want to find another holiday park in the area. 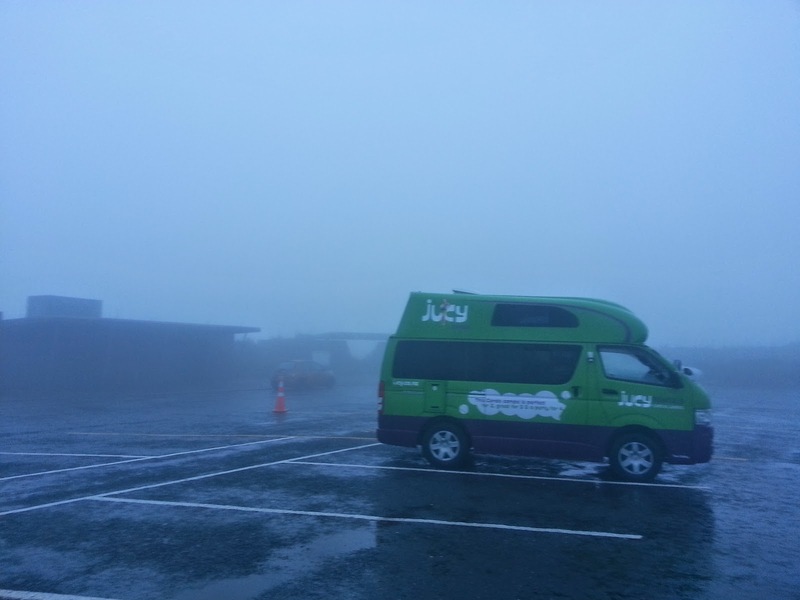 Campervan (Jucy Condo) and Powered Camp Sites is one way of getting an accommodation in New Zealand. It offers a different experience and a different set of advantages to the tourist. The ability to be flexible in your accommodation, change the itinerary instantly, have all the functionality of your accommodation in your car is a definite plus. This kind of plan may not suit everyone and may opt to choose a more conventional way of travelling. The traditional car rental + hotel still stands and offers a convenient and relaxing choice. If you don't like the campervan, then this is a healthy option. 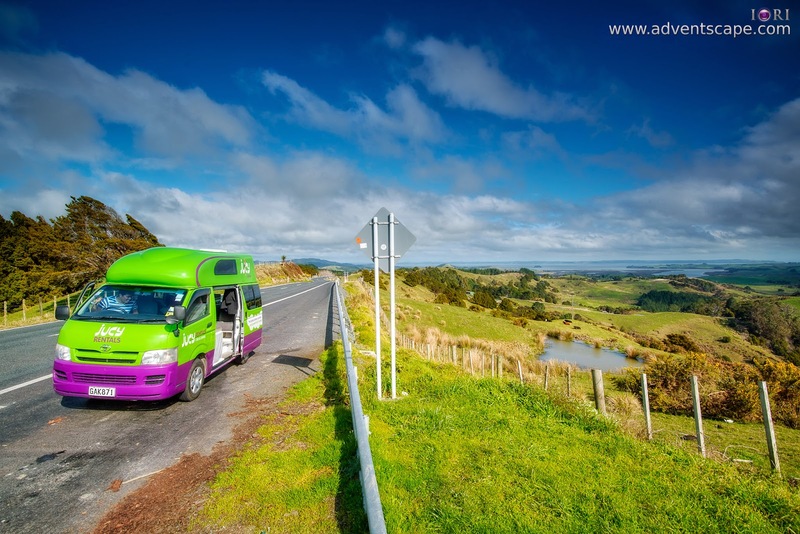 If I'd travel again in New Zealand, I will have the campervan one of the choices. Special Thanks to William and Ado for lending some of their photos. Similarly, public loving to spend their holidays in the form of picnic parties, prefer to take ready made and delicious foods from their home along with cold drinks and fruits. They also use these portable refrigerator . In the same way, residents of flats and rent houses who don’t have permanent residency, use these refrigerators due to less space occupied by these models and easy to shift anywhere. I do agree. Portable refrigerators are god-send to those frequently travelling at long distances for days. It's hard to keep food fresh without the use of these portable refs. In this case for Campervan, it has a decent space and enough cold to store food for up to 3 days. 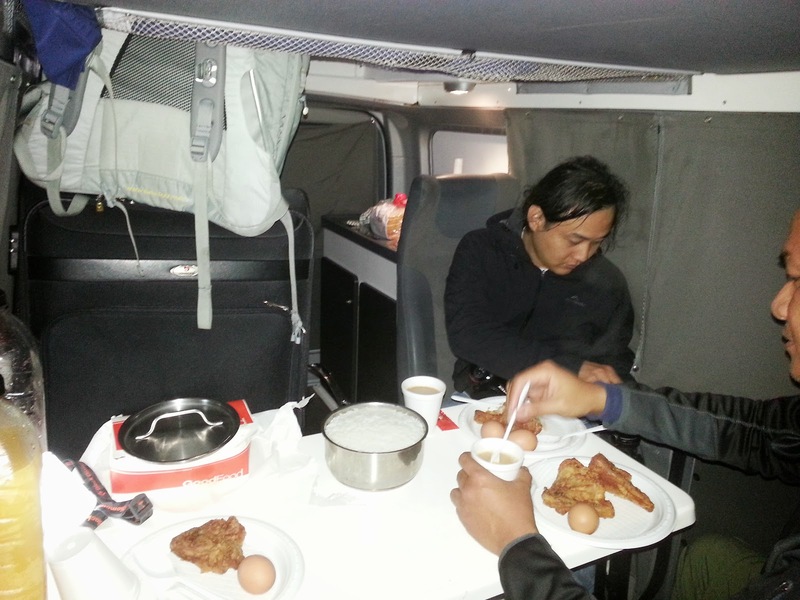 Nice blog, This is a big advantage of the portable refrigerator that you can carry it at any place with you.